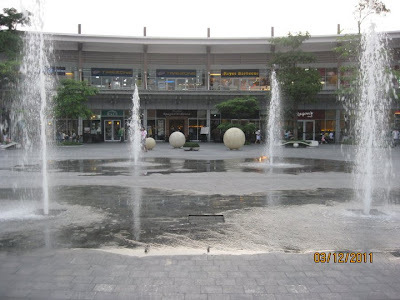 About three months ago, I just heard about Ayala Technohub and at times going to Fairview I will commonly see it but never had I been there yet. Since January 2011 and since working at PeaceTech, Ayala Technohub had been my daily place of work from 10:00am to 9:00pm. It is a place where business, recreation, food and entertainment converge to give someone a total relaxation while at work. 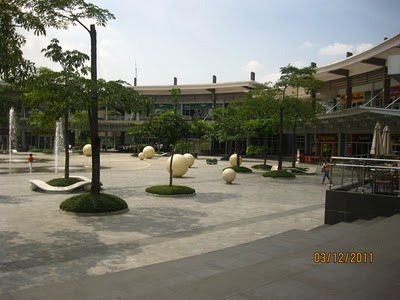 UP Ayala Technohub is located along Commonwealth Avenue in Quezon City just beside PHILCOA and in front of the UP Diliman Campus. It is also walking distance from the Quezon Memorial Circle. If you want to go to the place you can ride buses traversing the Fairview route passing through East Avenue or you can ride Lagro jeep from SM City North EDSA or Trinoma. The fare ranges from P10 and above depending on your point of origin. The place boosts great scenery including a fountain area with benches at the center. 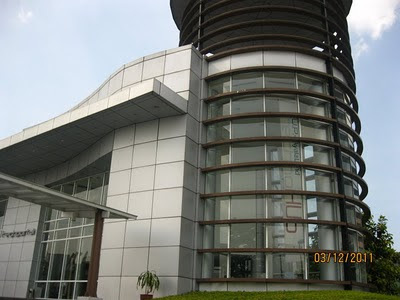 The building were PeaceTech is located is TechPortal. It is probably the smallest building in the area. Techportal houses medium-sized companies and some NGO's including PeaceTech and the Ayala Foundation. Besides Techportal, Technohub is the home of some of the top contact centers in the county like IBM, Manulife, HSBC, and Convergys. 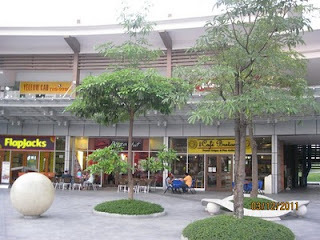 If you are working in Technohub or would be visiting, you will not be hungry here because there are lots of food establishments like Pizza Hut, Mr. Kebab, Yellow Cab. KFC, Figaro, Coffee Bean, Kanin Club and more. For those who are on a budget and wants to really spend less your option is to buy food at Mini Stop or just buy any canned goods and then add a rice to that and you are ready. Meals could only cost from P50 above. The second option is KFC which offers meals as low as P60. My favorite budget meal is the Wow Burger and Wow Steak. The more expensive ones are of course Pizza Hut, Mr. Kebab, Seafood Island and Yellow Cab. Seafood Island however has a budget meal which costs about a hundred pesos. Most of the establishments here at open 24-hours. If you want to experience fun and entertainment then you can also go to TimeZone. 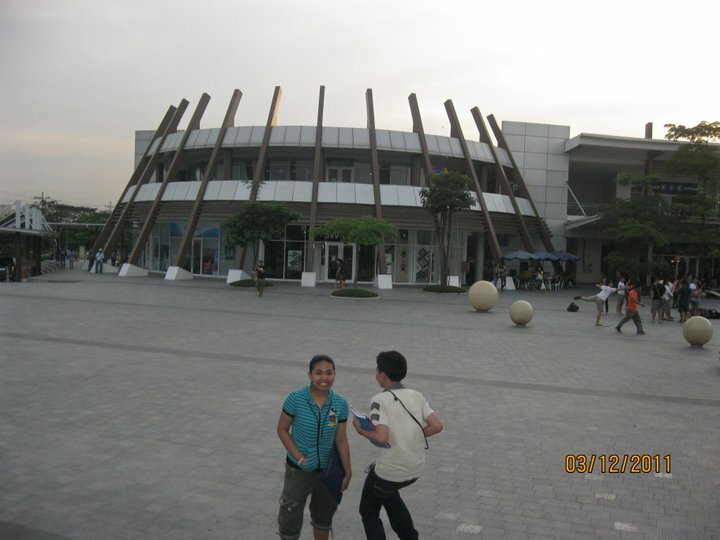 The Ayala Technohub TimeZome offers a lot of discounts and freebies. For the techie, Technohub houses the second largest CD-R King branch in the country. Bancking is also available at the area since China Bank provides 24-hours ATM service. Looking for books and school supplies? Then visit the TechnoHub branch of National Bookstore. The store is open from 10:00am to 12 midnight daily. The UP-Ayala Land Technohub is truly a great place to work. Are you working in the area? Then share your tips and experience to us too.